(MANDEVILLE, La.) – In 2002, the St. Tammany Economic Development Foundation (STEDF) hired Brenda Bertus to lead economic development efforts in St. Tammany. After more than 15 years at the helm of an ever-expanding organization, Bertus has announced her plans to retire effective Dec. 31, 2017. Thanks to Bertus’s leadership at STEDF since 2002, almost 140 companies committed to locate or grow their operations within the parish. These companies agreed to invest over $980 million into St. Tammany, retaining almost 4,800 jobs and committing to create over 5,900 new jobs. Bertus led STEDF to become a driving force in parish, regional and state economic development efforts. She has been instrumental in maximizing resources and opportunities for economic development, fostering collaborative development of regional and national marketing efforts and pursuing business-friendly legislation in Louisiana. Bertus guided STEDF and its business recovery efforts through the landfall and aftermath of Hurricane Katrina. In her corollary role as executive director of the St. Tammany Parish Development District, Bertus oversaw the issuance of almost $1.3 billion in bonds to companies investing in the economic strength of St. Tammany Parish. Prior to her involvement in the industry of economic development, Bertus was co-owner and vice president of a large development and construction firm in Slidell, Louisiana. The company was active in the construction and development of single-family homes, office park condominiums, residential subdivisions and a medical complex. Bertus also supported and advocated for businesses as the chief executive officer of the East St. Tammany Chamber of Commerce—then called the Greater Slidell Area Chamber of Commerce—from 1999 to 2002. During her tenure, Bertus expanded Chamber membership by 20%, increased funding and upgraded all technology. Bertus also expanded STEDF, hiring capable and educated staff members whose longevity within the organization reflects their mutual commitment to progress and Bertus’s commitment to professional development. The staff of the St. Tammany Economic Development Foundation at its largest in March 2017. In 2003, Bertus hired Tracy Clanton, who has remained with STEDF for 14 years and now serves as operations director. After Clanton, Bertus hired five others—four of whom remain with STEDF today. Bertus has always championed the professional development of her staff. She herself has graduated from the Economic Development Institute at the University of Oklahoma, completed coursework for the Louisiana Economic Development Certification from LIDEA and studied at the Institute for Organizational Management at the University of Georgia. Bertus graduated from Leadership Northshore—then, Leadership Slidell—in 2001 and from Leadership Louisiana in 2002. Bertus has served on numerous panels, appeared on national television and contributed featured articles to regional publications, sharing her expertise in land and economic development as a representative of St. Tammany Parish and Louisiana. She has appeared on MSNBC twice: once in 2006, to discuss the one-year anniversary of the landfall of Hurricane Katrina, and once in 2013 on the Hannity show, to discuss the requisition of valuable St. Tammany land as a critical habitat for an endangered species of frog. As an expert on economic development in St. Tammany, Bertus often spoke to local Rotary clubs, Lions’ clubs, chambers of commerce, real estate leaders and home builders, and other professional and community organizations. Bertus has served as a commissioner, board member, officer and member for many well-respected and influential organizations in St. Tammany Parish and the surrounding region. As a community leader, Bertus oversaw, invented and implemented a number of funding initiatives for a range of prominent organizations. Peter Link has been a member of the STEDF Board of Directors since 1996. Bertus joined the STEDF Board of Directors in 1997 during her tenure as chief executive officer for the East St. Tammany Chamber of Commerce. Bertus and Link served together on the board for five years before STEDF hired her to run the organization. Stuart McAvoy has been a member of the STEDF Board of Directors since 2002. Among her many other roles, Bertus served as chair of the St. Tammany Parish Tourist & Convention Commission; president of the St. Tammany Home Builders Auxiliary; secretary of LIDEA; vice chair for Partners for Stennis; and vice president of the East St. Tammany Chamber of Commerce. Bertus has been a member of the International Economic Development Council, the Southern Economic Development Council and the Rotary Club of Slidell Northshore, among many others. In the fiscal year 2004-2005, she was awarded with membership to the Paul Harris Society of Rotary International District 6840. She had previously been named a Paul Harris Fellow. In 2007, New Orleans CityBusiness recognized her as a “Woman of the Year,” and the St. Tammany Parish Government presented her with a Certificate of Recognition for her nomination. 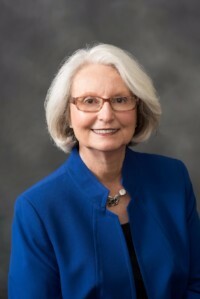 After nearly 30 years advocating for business and industry through her roles at STEDF, the East St. Tammany Chamber of Commerce and her development and construction firm, Bertus looks forward to spending time with her husband, her daughters and all of her grandchildren—and to pursuing hobbies long-neglected in favor of constant availability to her vocation. Bertus said she cannot wait to take off her wristwatch, forget her daily planner and enjoy the freedom of the spontaneous adventures to come. “I want to focus on my personal goals, instead of the business goals I’ve been pursuing for so long,” Bertus said. “Photography has always been a passion of mine, and I hope to take more photographs. My husband and I are also looking forward to traveling, and having the luxury of spending as much time as we care to at each adventure we come upon. And I may even take the grandchildren to Disney World.